The most obvious way that mobile forms boost productivity is by taking existing paper processes and eliminating the time spent re-entering information on a paper form into a digital system and allowing access to data in real-time. This allows mobile forms to boost productivity significantly. But they can also provide a number of other compelling benefits. For example, one Device Magic customer routinely works from the field. He'd fill out paperwork at the job site and then he’d get a call from the office the next day. They needed to know what he’d put down on a form, because they couldn’t read his messy handwriting. Switching to mobile forms allowed him to share that same information with the office without the potential for errors that “guesses” about what he’d put down caused. And he's not alone. Below are a few of the other benefits of using mobile forms. Using a mobile forms app ensures that you never run out of a form or show up at a job site just to realize you left the paperwork you needed behind. Rather than needing to check and restock your supply of paperwork, doing things digitally means the right form is always right there, on your phone or tablet, when you need it. Even if something happens to the phone or tablet intended to be used to complete the form, field reps can complete the same forms on the Device Magic Web App. If paperwork seems to mysteriously (but routinely) go missing when field workers fill it out while on the job site, mobile forms can offer significant benefits. 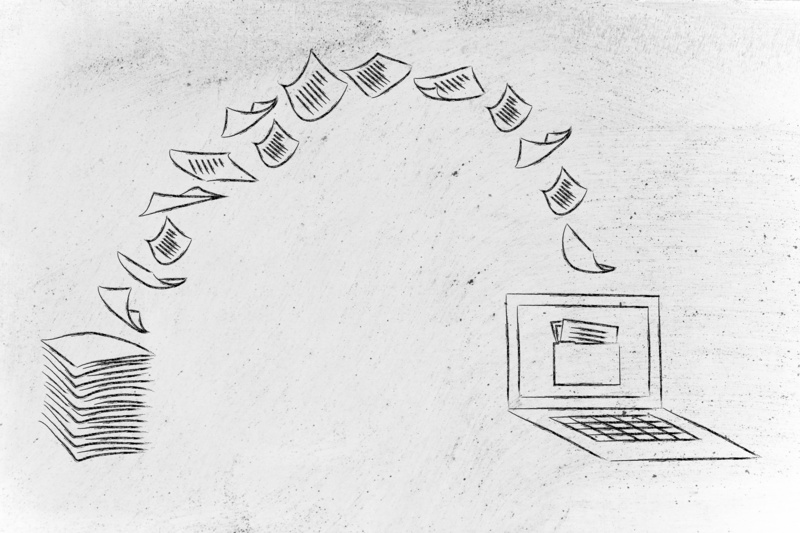 Lost, torn, or ruined paperwork is no longer any issue when collecting data with mobile forms. Since the entire mobile forms process is automated, employees no longer need to keep track of paperwork. Once a form is filled out, data automatically uploads to the cloud and is immediately accessible from the main office. If waiting for paperwork to make it back to the office leads to a backlog of data entry work, a digital forms solution can speed up business processes and increase efficiency. Mobile forms not only deliver data faster, but also contain fewer errors than paperwork. Because they start out digital, there's no need to scan documents in or enter them manually into the system. That means data is accessible more quickly and "paperwork" no longer means "bottleneck." Because mobile forms allow you to send information to multiple destinations, one form can be used to collect information that is useful in several different ways. Form data can be sent to multiple people, or sent to multiple various storage destinations. For example, a form that includes a question about time spent on a project can track employee work hours and generate an invoice for a specific customer. Helping to automate many data collection and communication business processes. Sound like what you need? Get started with mobile forms today by taking advantage of a free 14-day trial.